When you want to practice your jump shot with multiple players at the same time, this set is the best choice. 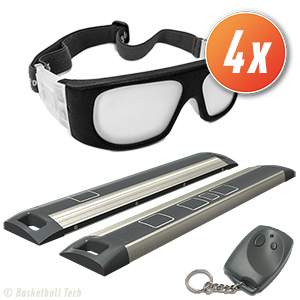 Up to 4 players can use the system quickly after each other, without the need of passing the glasses between them. With 2 or 3 ball catchers and throwers, this is turbo shooting to the max!